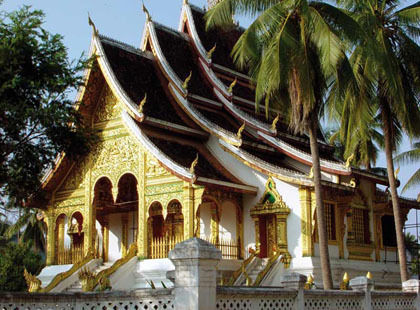 The ancient royal capital of Luang Prabang is one of the most culturally exquisite places you could hope to visit. Strikingly situated at the confluence of the Mekong and Nam Khan rivers and encircled by mountains, Luang Prabang's patchwork of palm-lined riverbanks, terracotta roofs, gilded temples, saffron-robed monks and traditional timber homes form a picture perfect snapshot of bygone Asia. Now designated a UNESCO World Heritage Site, Luang Prabang is the most perfectly preserved traditional capital in Southeast Asia and totally captivating. From centuries old temples to traditional puppet theatre, Luang Prabang offers an absorbing array of sights showcasing the rich cultural and natural history of the city and region. The majority of the city attractions can be explored on foot, and in fact is the best way to explore, ensuring you also soak up the sights and sounds of everyday life. Considered to be the religious heart of Laos the town has just over 30 beautifully gilded wats (temple-monastery complexes) including the shimmering Wat Xieng Thong, which is richly decorated with glass and gold. Other notable temples include Wat That Luang, Wat Wisunarat, Wat Mai Suwannaphumaham and not forgetting hilltop Wat Phou Si for stunning views over the town. The Royal Palace Museum is another highlight, giving visitors an insight to the country's history and culture, while an important cultural practice not to be missed is the alms-giving ceremony. Each morning as the sun rises Buddhist monks and novices depart from the various temples and monasteries with their alms bowls to gather their daily meal from locals who wait by the roadside to give their donations. This sacred ceremony is undertaken in complete silence and is both peaceful and spiritual – tourists are welcome to take part, although this does mean getting up at the crack of dawn! 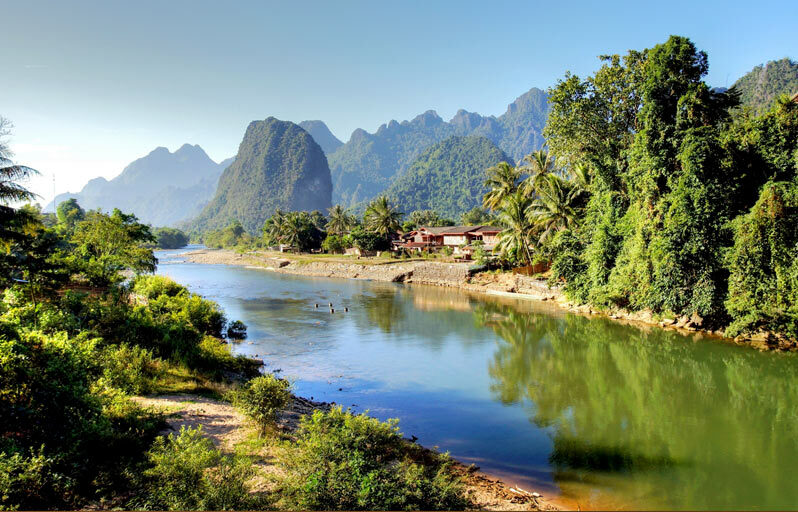 Once you've exhausted Luang Prabang's many monasteries and temples, the surrounding countryside is equally enticing. The popular Pak Ou Caves, which can be reached by a pleasant two hour cruise on the Mekong River, are a pilgrimage site for Buddhists across Asia who come to pray and worship at the multitude of Buddha statues that have been gathered over the centuries. Another must-see is the mystical tiered Kuang Si Falls, where you can swim in the secluded turquoise pools and take in the surrounding views. 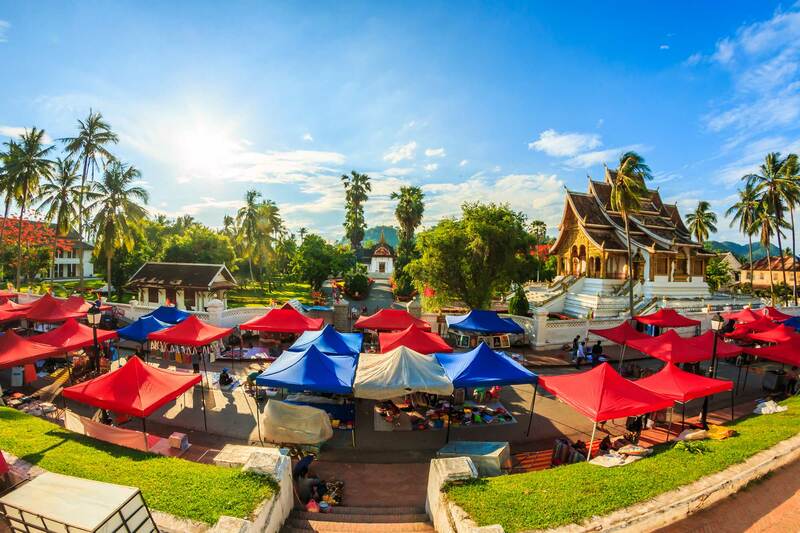 What better way to end a day in Luang Prabang than with shopping in the colourful night market where hilltribe traders converge to sell clothing, ceramics, handicrafts and much more. 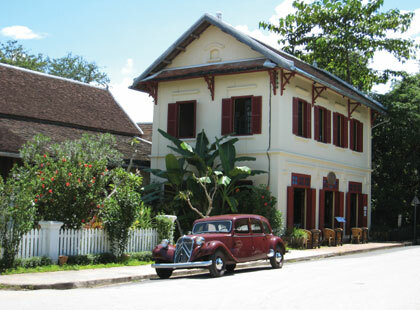 When it comes to dining in Luang Prabang, head for Restaurant Row on the banks of the Mekong, where, as the name suggests, a range of eateries can be found, from Indian and Lao to French bistros and other international fare, while throughout the town you'll find little cafes, bakeries, baguette stalls and street food vendors. 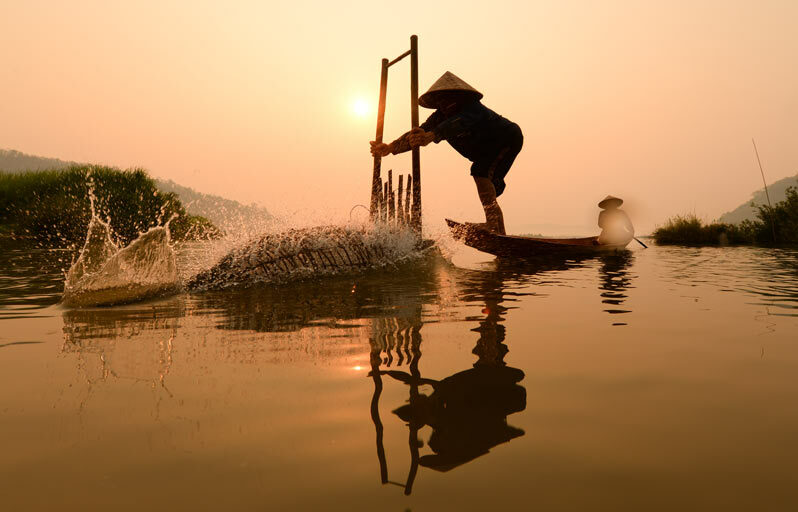 Call and speak to one of our travel experts who have experienced Luang Prabang personally. Lao Kep, although US$ also accepted in some places. 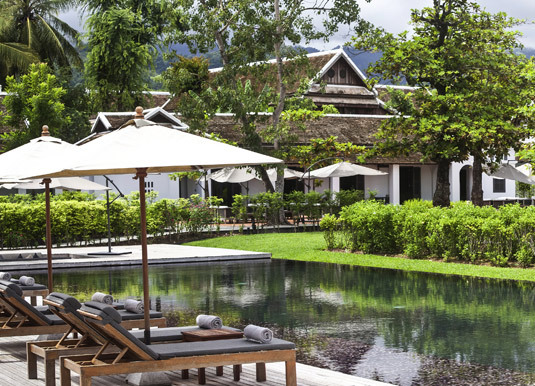 Luang Prabang is approximately 13 hours 30 minutes from the UK (via Bangkok). The dry season is November to April and the southwest monsoon brings the wet season from May to October. However, within each season there are variations and November-January are the coolest months while March-May is very hot and humid. You will be required to obtain a visa on arrival. You do not need to apply before departure. A US$36 visa fee is payable in cash and one passport size photograph will also be required.